It’s about that time, Kansas City. Time to bust out the costumes, candy, and jack-0-lanterns for a spooky time. 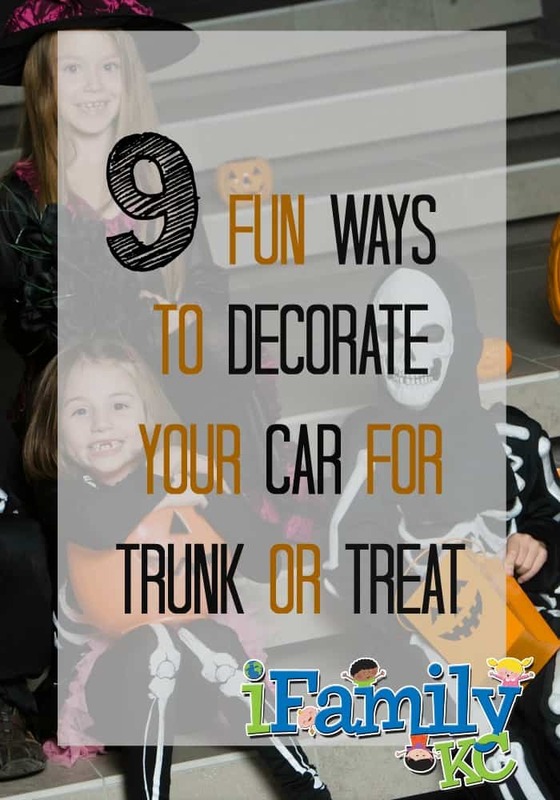 For those of you that are scrambling for ideas on trunk or treating decorating ideas, never fear, our Mom Squad Ambassador, Darcy has you covered. Take a look! 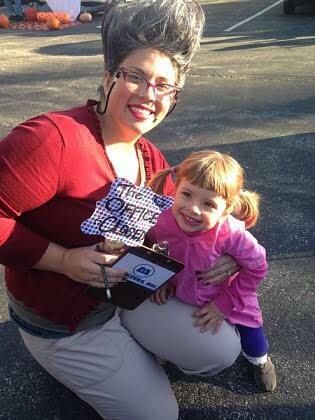 Trunk or Treating seems to be gaining in popularity every year. It is a great option for families who may not want or be able to trick or treat in their neighborhoods. It is also a great option if you just want to maximize costume/candy time. 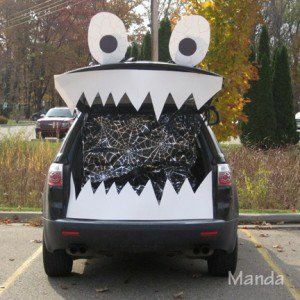 There are so many cute ideas to decorate your vehicle and despite spending plenty of time on Pinterest looking at ideas, I always show up and am blown away by the creative ideas my friends and neighbors come up with. Don’t be intimidated though! After all, the kids are mainly into the candy. One of the easiest ways to get inspiration for your trunk is if your family is dressing up as a group. Then you have a theme to work with. Here are some of my favorite themed options. Are the kids going as animals? Especially for tots, there are usually a ton of adorable elephant and lion costumes around. Parents can dress as animals too, or as explorers. Bring some houseplants, fake snakes and a few stuffed animals to decorate your trunk. Bonus points for playing some animal sounds! There are some free apps you can download to play these. Sleep Pillow app is a favorite of ours when we travel (to drown out the late night people stumbling down the hotel hall) and they have an awesome Jungle/animal noises playlist, but it costs $5.99. You could also make a killer playlist with songs that take you to someplace warmer. Think Toto’s ‘Africa’, Glass Animal’s ‘Pools’, and Kool & the Gang’s ‘Jungle Boogie’ to get you started. I haven’t seen this used yet, so maybe you could be the first! 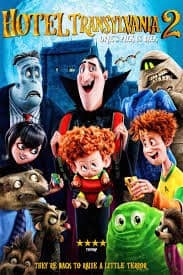 My kids love the Hotel Transylvania films and this gives a fresh spin to that vampire costume you probably have left over somewhere. There are a lot of characters, so it should be fairly easy to flush out who’s going to be whom. This is also easy to decorate. Standard Halloween decorations- bats, spiders, spider webs with a bed in the trunk (a hotel room, get it?) Be sure to make a sign for your hotel and maybe a no vacancy one too! This is an old one, but a good one. Lots of little kids still like dressing up like Boo and Halloween always brings this movie back into circulation. 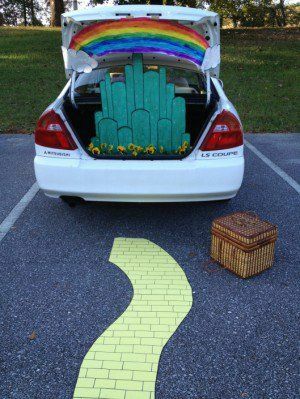 My friends did this a few years ago and won the trunk or treat contest! Bonus points for making this board! 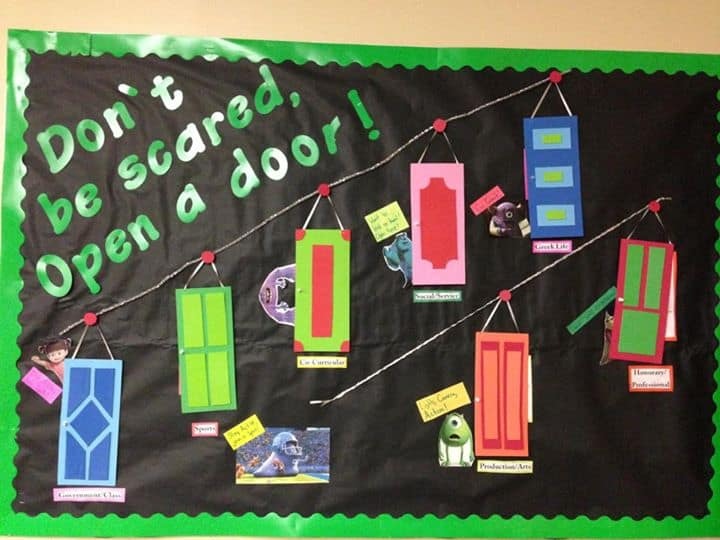 Here it was used at a college, but I think it would be cute to have kids pick a door and get a candy from inside. If it’s too difficult to pass candy that way, maybe just put in a picture of the wrapper, and they get whatever type of candy they find. I’ve moved around a lot, but I don’t think I’ve ever encountered city pride like I have in KC. It’s another level of love and I am so happy to be a part of it. Along that idea, I’m sure there will be a few Royals and Chiefs players out there. There are a lot of creative ideas to make this work for you, but here a couple of my favorites. 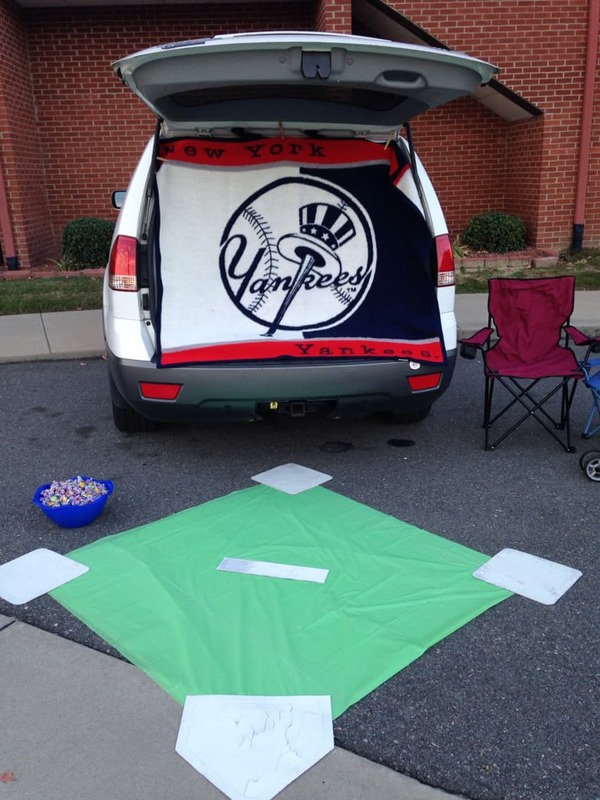 You could make a small diamond or football field out of paper for kids to run around and put up for favorite banners in the trunk like they did here (ignore the Yankees). 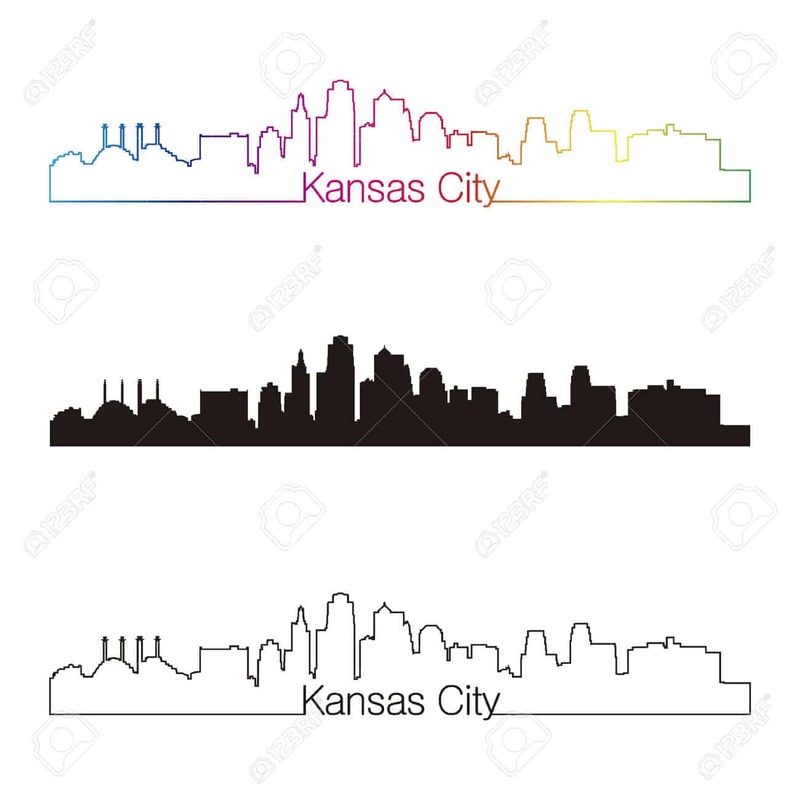 Or pay homage to the city as a whole by dressing up as some of your favorite famous Kansas Citians and make a cardboard skyline. Bonus points for adding twinkly lights. 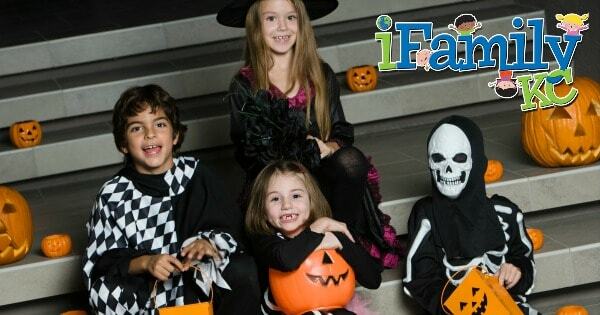 It’s not always easy to get everyone on the same page for costumes and so if you have a mixture of characters with you, here are some ideas for a more generic take on trunk or treating. Spider webs are everywhere this time of year, pick up a few bags and go wild. You can wrap them around the car, inside the trunk, be as bold as you want to. Sprinkle plastic spiders through the webbing. This is a cheap and easy option. Bonus points for putting a giant inflatable spider on top of your car. A treasure chest makes an obvious choice to hold the candy for the kiddos. 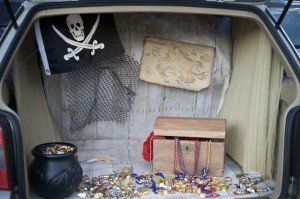 Nearly everyone has had a pirate themed party at some point, here’s a nice chance to reuse those decorations. Bonus points for a life-sized skeleton dressed up as a pirate. Giant teeth, two eyes and you’re done! This is a pretty basic and classic option. It’s always a good choice. There are a couple different ways to play this. I think it would be cute (and easy) to simply transfer the pumkpins and décor from your front porch and set it up here. Add some rocking chairs and make it look like kids are still going up to a porch. Bonus for a light fixture and fake fence. The other option is to look like a pumpkin patch. Put a green blanket out with some pumpkins. You can add a pumpkin patch sign and maybe even a little Linus waiting for the Great Pumpkin. No matter what, have fun. You can go as big as you want to. As long as you don’t forget the candy, the kids will like it. In fact, if you really want to impress, skip the decorations and just get king-sized candy bars.